If you happen to kill every plant you've ever had, I have a trick for you: hang them at eye level! Sure, it's not much, but having your plants at eye level is a great way to remember to water them. 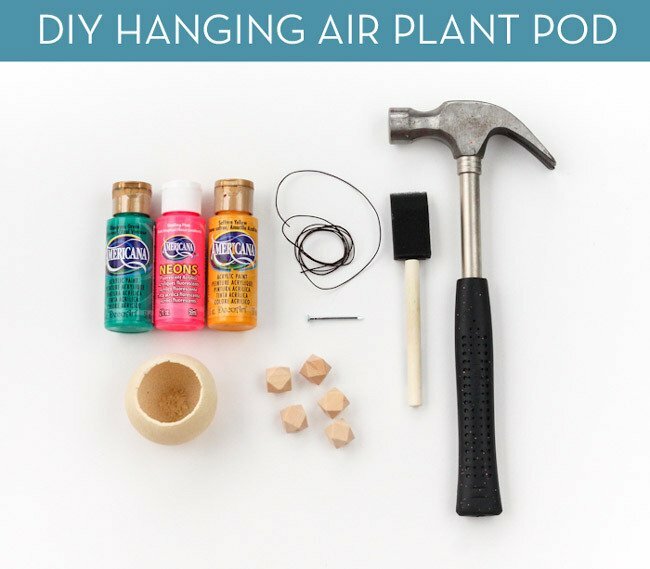 And if you're new to plant ownership, there's no better place to start than with an air plant and this 15 minute DIY! It's not often that I decorate my home for fall (aside from the classic pumpkin, of course). Perhaps it's because I tend to go budget-big for Christmas, but seasonal decor usually sits on the back burner during this time of year. Well, not this year. Things are about to change because I figured out a way to decorate for next to nothing! Chances are you already have everything on hand now too. Hi I'm Rachel and I live in Portland, Oregon. I love do-able diys and strive to make crafting easy and fun over on my blog The Crafted Life. When I'm not pinning pictures, or brushing glitter out of my hair, you can find me exploring and photographing the Pacific Northwest.